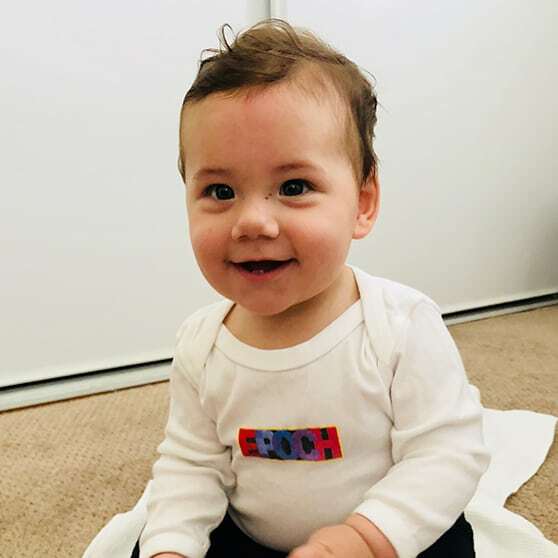 A Clark Family tradition – celebrating Easter with Epoch! God Bless the Armstrong family! Always a great day with the new allocation and checking into inventory. Thanks for the great wines. Can’t wait to visit the new tasting room. Becky created an amazing experience for us at your tasting room yesterday. She’s clear and passionate about the history of the winery, working for a great family, and the wines of Epoch. Becky is a keeper for sure! We loved every wine we tasted and took some with us to share with friends at home. 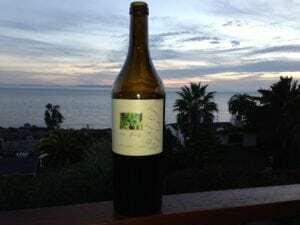 We just returned from a long weekend 25th Wedding Anniversary Celebration at the One & Only Palmilla Los Cabos when our Fall Allocation of Epoch arrived. In true feline style, our cats had as much fun as we did with the unpacking! I wanted to share a recent Epoch moment. 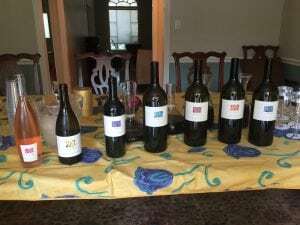 We recently put together a blind taste “shoot out” of a Tempranillo from West Side Paso and the Epoch Tempranillo to identify the best of the best in Paso. You will be pleased to know that Epoch was the hands down favorite, with 5 out of 6 votes. Of course a good time was had by all with the evening capped off with acoustic guitar playing and loud singing. An absolutely awesome night. Epoch wines are sure leaving their mark on us, always impressive and exceed expectation. They are now the centerpiece of our cellar. Much respect and best wishes to the team! 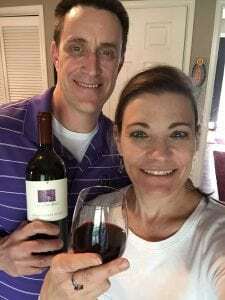 Several weeks ago my wife (Kelly) and I came in to Epoch and had a wonderful visit trying your various wines as well as having a nice conversation with you and your colleagues. We were drawn to your winery because my wife and I attended, York College of PA, and we thought your heritage was very interesting. 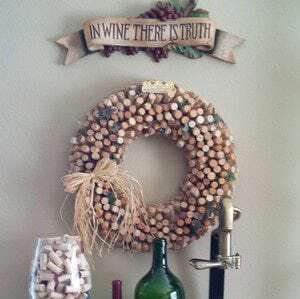 Additionally, you provided us with lots of great wine to bring home as well as a large quantity of corks. In exchange for the corks we promised some photos of the projects we use them for, do here are a few pictures. Greg and I came to San Luis Obispo the weekend of October 18-20 for a District Rotary Conference. We visit Paso Robles and the Santa Ynez Valley on a regular basis for wine tasting, but had never been to Epoch. 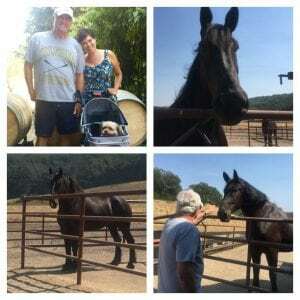 We fell in love with their wines, staff, cat, and the Percherons! We joined the allocation wait list and will be back! 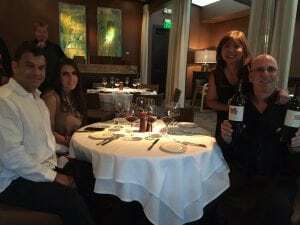 My Epoch Moment – BTW, I think ‘Epoch Moment’ is an oxymoron, as ‘epoch’ actually means a distinctive period of time, but I digress… – was the celebrity drop-in of actor Adrian Grenier this summer as we were tasting blends of out ’10 red wines. The wildly popular HBO series, “Entourage” was down to its last few episodes, and as huge fans of the show and Vinny Chase, we later named our wine loyalty club, “Epoch Entourage”, after this Epoch Moment! I should of sent this email last week since the bottle was consumed on March 2nd but have been in a Veracity haze since then! I wanted Bill to know that what he claimed should happen [Bill claims that Epoch wine will lead to a “luck night” if you catch our drift] drinking the bottle did in fact. It worked so well that the man in question wants to plan a trip to buy a case of Veracity. I have attached 2 photos as to our view while we were drinking the entire bottle. I will be in touch with Jordan about coming to the winery maybe in May so we can buy that case and most likely more. 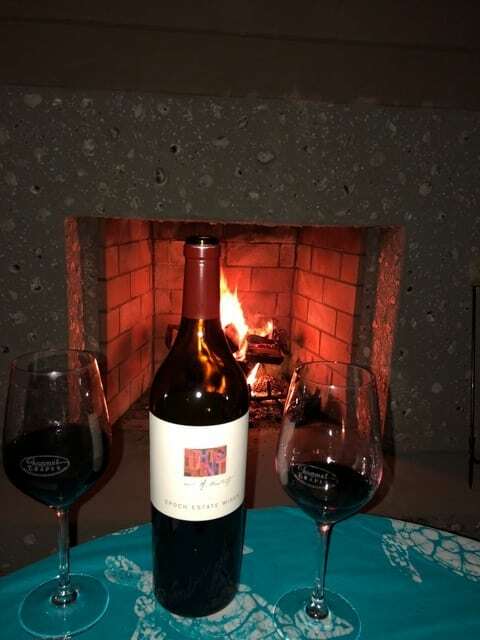 So you know our first date was 38 years ago and have just reconnected so all the more fun to tell him the story [Epoch is the best wingman] and share the wine. Yeah, these are getting better year after year! Nice early on, pretty stunning right now – and probably will only get even better! Served with a Saturday night prime rib dinner at home. 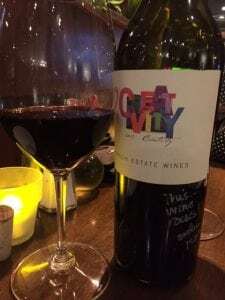 Deep rich color, and deep rich cherry taste. Beautiful, full nose. Bright, blackberry, and touches of smoke and dried figs. Slight slight funk to it. Low tannin, but enough to add to the overall taste. I let it breath for a couple hours. An absolute pleasure! I need to get back to my Denver wine storage, to bring some more #epochwines up here to home! What better way to celebrate my 65th birthday, family, good friends and a lineup of Epoch wines; 2016 Rose, 2015 White, 2011 Zinfandel, 2011 Block B Magnum, 2011 Authenticity Magnum, 2011 Tempranillo Magnum and 2011 Ingenuity Magnum! Thank you Epoch team. We drank it all! Jordan, I cannot begin to tell you how much I enjoy your wine. Big fan. Today was a very cold morning here in Atlanta so playing golf was not a good option. So, I decided to make a batch of my New Orleans Chicken and Sausage Gumbo. It is an Emeril Lagasse recipe, but with a touch of my grandma’s roux. 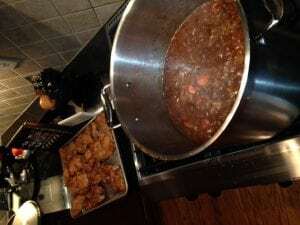 I was born and raised in New Orleans and gumbo was not only a staple, but more of a way of like and watching grandma making it was half the fun. I am now sitting down to enjoy a bowl of my gumbo with rice and I am pouring a 2010 Epoch Ingenuity. It is the last of my 2010 vintage which brings a tear to my eye, but OMG it is simply awesome. I could not have picked a more perfect match for this dish. The blackberry and blueberry aromas combined with a hint of spice are enticing, but on the palate it is simply wonderful. It is silky with soft tannins which I guess comes from a little age, but the long smooth finish is what I especially love. This is a meal and a show all in one. The Ingenuity compliments the gumbo PERFECTLY! New Orleans style Chicken and Sausage Gumbo combined with Epoch wine is a real treat. You’ll be happy to hear the 2010 Ingenuity is pouring perfectly and I am in heaven. Keep ‘em coming cause I keep enjoying them! 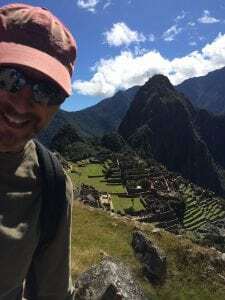 Epoch wine meets epic Machu Picchu! I’m sorry. In fact I’m really sorry. I was unpacking my two cases of Epoch yesterday and putting them safely in to my cellar and the Sensibility slipped out of my hand, fell to the hard floor and broke at the neck. 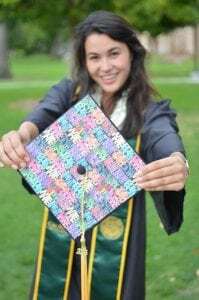 Even though she’s a well-educated, latin speaking lawyer, I must have been influenced more by her being a pretty girl with a petite body shape. Older guys sometimes do that. Anyway, I reacted as fast as a young guy, and grabbed the bottle. Yes it was half empty, but I said, no, it’s half full. I cleaned up the mess, but my cellar now just has a better aroma. I strained the remaining wine, to make sure that there were no shards of glass, into a wine glass and covered it with an inverted sandwich bag (just as you would do with leftover guacamole!). I know that you told me that the wines are still babies and that I should wait, but what was I supposed to do? This wasn’t a normal birth. This was an emergency, premature caesarian. So, I’m drinking it, on my own, before dinner tonight, and I’m a very happy man. Soon I’ll begin to try and understand your graphic interpretation. Take care and please pass on my thanks and apologies to Bill and Liz, Meredith and the rest of the team. 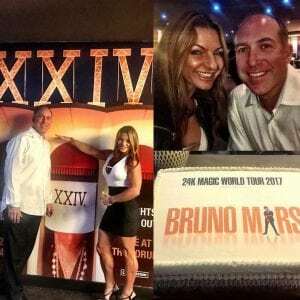 Last year my wife and I were at a wine club dinner in Paso with another winery. One of the men at our table said, “You absolutely HAVE to visit Epoch before you go home.” So we did, and wow, are we glad! I had several of your wines shipped back to Chicago, where we frequently attend dinners with friends who love great food and great wine. One evening we had dinner at our house and I asked everyone to bring a great wine. We had Joseph Phelps Insignia, Chateau Margaux, and a great Chateauneuf-du-Pape (can’t remember the name). I brought out the Epoch Authenticity and it was the hit of the evening. By far. A week later we went to an Italian restaurant with friends. They brought a very nice French Bordeaux and I brought the Epoch Tempranillo. The Bordeaux was served first. It was very good. Then my friend took his first sip of the Epoch. It was like time stood still. He could not believe how amazing it tasted. It was not only an Epoch moment but almost a holy moment as we all stopped eating and just reveled in this incredible wine. Thanks Epoch. You steal the show at any dinner gathering. My friend, Colleen Heller, just retired after a wonderful career in education. 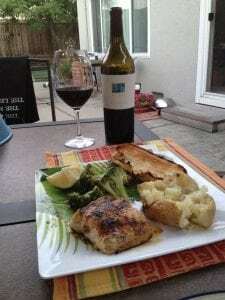 To celebrate, I fixed a special dinner, al fresco, of grilled sturgeon with a BBQ rub and a lemon butter sauce, grilled broccoli, baked potato, toasted French rolls, and….. wait for it…. 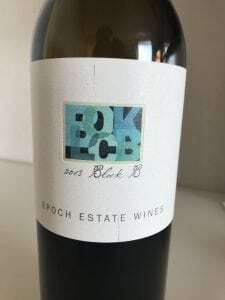 the pièce de résistance, a bottle of 2009 Epoch Block B Syrah. Fabulous! An Epoch way to begin retirement. 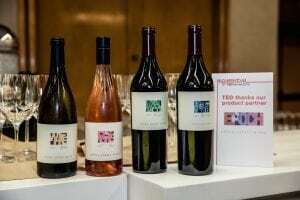 We have always admired TED for their innovative, relevant, and insightful TED Talks, so it was a HUGE honor for our wines to be served at the TEDWomen 2015 Farewell Picnic in Monterey, CA. A serious Epoch Moment for us! Cheers to TED for facilitating and sharing so many powerful conversations (topics consistently addressed with veracity and ingenuity Ü) with us and the rest of the world! You know, when one is on a diet to lose some weight it is not easy when you have a wine collection of 400+ bottles in the house! Since I have lost 30 pounds in the past six months one is entitled to have a free day once in awhile…right? So, we had one of those Epoch moments when my wife asked if we can have a “free day” and we went to one of our local favorite restaurants in 4S Ranch called Capri Blue. 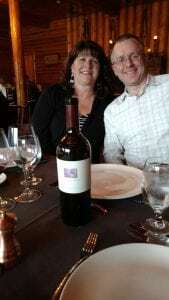 We happened to bring with us a bottle of the Epoch Tempranillo 2009. WOW did this wine blow our socks off!!!! It was one of those wines that had layers and layers of flavors over the course of the glass and the bottle! I am thankful to have a couple more bottles of the 2009 Tempranillo along with a 1.5 liter bottle in my cellar! Thank you for the fine bottles of wine~! Just had to tell you we busted open this beauty and shared with our favorite restraint owners Zookers, and it absolutely was the tastiest Mourvèdre anyone could recall tasting!!! Congrats again. I cried a little bit on the last sip. Those brave grapes… all gone. I have to get more of this one… cheers. “Take me to dinner, so we did just that! We shared it with the manager & waiter, here at Bayside in Newport. 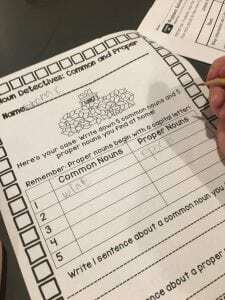 Everyone said, Yummy ! Just wanted to let you know we had another bottle of the 2010 Authenticity last Sunday and wow does it just explode. The moment we opened the bottle and poured it in the decanter we knew it was going to be special. It still ranks as the best wine we have ever had. Thank you very much to you and your team for doing what you do. Can’t wait until the fall 2016 release. Congrats on those unbelievable scores. Here’s my Facebook post on the 10 Authenticity. 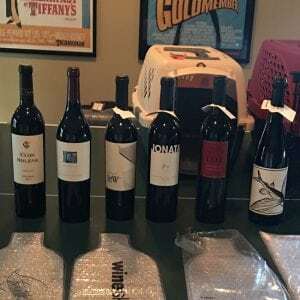 Received my order today – with more Jordan signed bottles – made my day. We decided (well actually I decided) to celebrate the moment by opening a bottle of 2011 Block B. It is resting comfortably right now and the drinking will commence upon completion of this email. Some friends have also joined us and I can hear them beginning to get restless. I told you I had some ideas on how to use Jordan’s empty signed bottles. 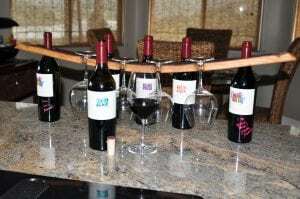 The attached photo shows how I set the bottles up tonight – I’m excited. The second attachment named “wine stopper” had a few clever sayings – I thought the marketing team might draw some inspiration from them. At the end of the day “Great Teams make Great Wine”. There must be on heck of a team at Epoch. I’m off to try some of the 2011’s and create a few of my own Epoch moments. I don’t ever think I can thank you enough. 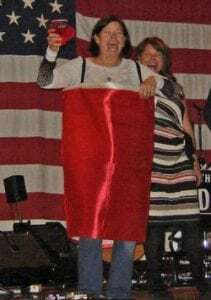 This is a story about my 50th birthday and a gift of Epoch wine when I couldn’t remember who gave it to me! 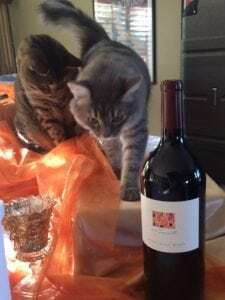 I opened up my presents the day after my 50th birthday party (that I asked for “no gifts” at the local vet’s hall)…I wrote on the wine bottles and most presents who they were from. Now THAT was an Epoch moment. . .
We have lots of Epoch Moments but here are a few of our favorites. 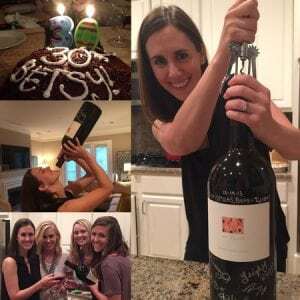 Epoch Moments are built around friends, relationships, food and Epoch wines. 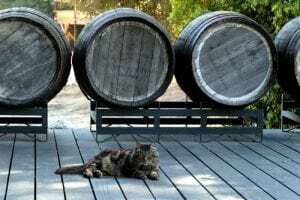 in 2009, long before Epoch released it’s first labeled wine, Kristen set us up with a property tour and barrel tasting. This was the beginning of our Epoch Moments and the beginning of great relationships with the people at Epoch. Over the years we have tasted Epoch wines with Kristen, Kirsten, Stephanie, Christina, and Hilary and each one has treated us like family. 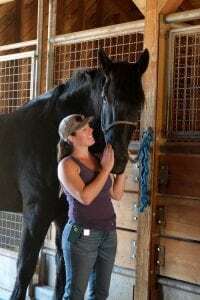 And, just this month we re-connected with Addie in the tasting room – having first met Addie at Booker in 2009. The Epoch pickup party in September, 2012 was another relationship building event with Epoch wines. 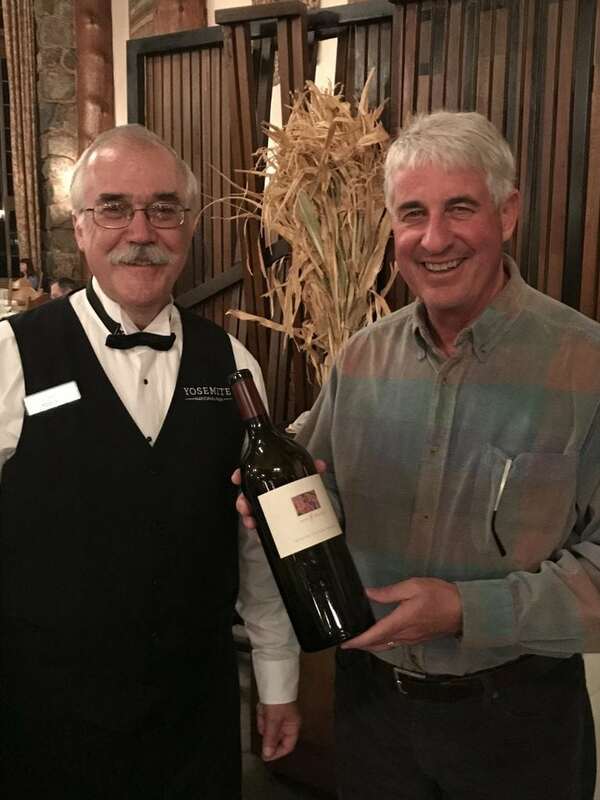 We had a chance to talk with Bill Armstrong and to develop a new relationship with winemaker Jordan Fiorentini. On Thanksgiving of 2012 we shared a magnum of the 2008 Authenticity with our best friends – what a great experience! And, our friends then shared their 2009 Authenticity with us earlier this year during dinner at their house. 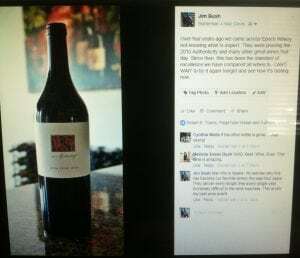 A small gourmet grocery in Orange and LA counties, Bristol Farms, had the Epoch 2010 Rose on their shelves in late 2012. We bought all they had and found the wine to still be drinking perfectly! Jordan invited us to a barrel tasting this month which was a highly informative and fun experience. Jordan has a real infectious enthusiasm for her winemaking at Epoch! Each spring and fall we look forward to our Epoch Entourage allocation knowing that the wines will continue to provide us with the finest in quality – a perfect match for our food, friends, family, and building relationships. We met in March at Artisan for Monday night supper. Our Epoch moment was when our 3 month old daughter Avery managed to blow out a diaper just before the second course and we had to leave early before I’d had a chance to speak with Kristen and Christina.